Motor Trend claimed an estimate of 3.2 to 60, that's "how." I dont think it ever did that time, The fastest times, Atleast that i know of, Are 0-100Kph in 3.5s, 0-100Mph 6.8s, And the 1/4 Mile in 11.1@134.0s, I dont think its ever done those times, Correct me if im wrong. I think those delibratley got changed by Eryk03 when he was on his rampage. 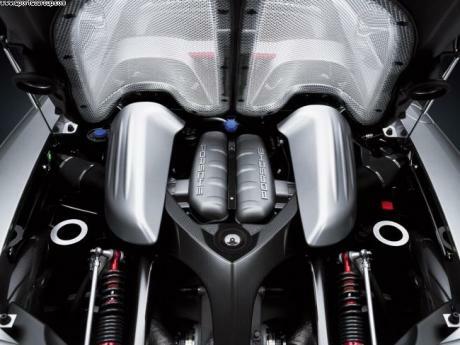 When did it do 0-60 in 3.2 secs? Why on the homepage posted that this car has 145 laptimes? "Faster than what at the Nordschliffe?" Faster than what at the Nordschliffe? STREET RACING IS , AND WILL ALWAYS BE THE WRONG THING TO DO! RIP Paul Walker. Great car enthusiast, fine actor. 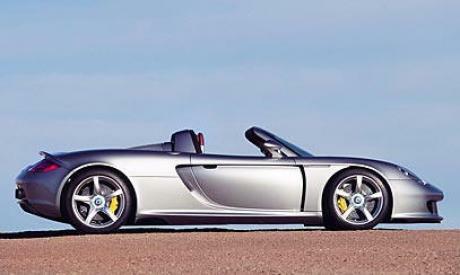 The Carrera GT is one of my favorite cars, as pointed out the steering may have had a problem (leaking fluid). Since I drive a mid-engine car without stability control, I also know that the potential quick rear breakaway (especially with cold tires) demands respect and caution from the driver. Since the driver was a competitor, it seems like the steering or some other issue might be the culprit. I am sure that more info will come from examining the wreckage in time. "@ Fangio: Don't forget about James Dean and his 550 Spyder." @ Fangio: Don't forget about James Dean and his 550 Spyder. Its basicly easier to die when You crash a Porsche with heavy engine behind You, and a trunk in front of you. 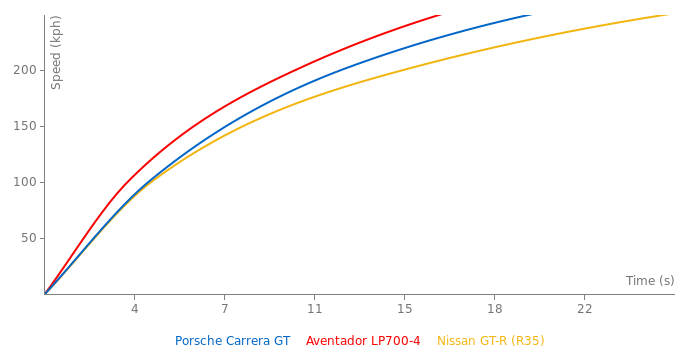 Head to head collision with 911 or Carera GT and some front engine car like GT-R will be much less dangerous for Nissan driver. There are many other famous people that died in a Porsche (like Stefan Bellof, Jo Gartner, Jean Behra or Sean Edwards who died this year). Of course, they died in racing cars but in Porsches. But also many famous people died in a, for example, Ferrari as well. When did I blame anything on the brand? 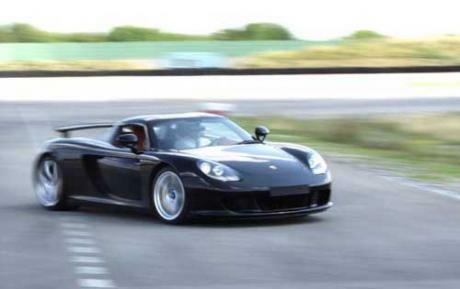 I just made an observation; there seem to be more HIGH-PROFILE deaths involving Porsches than other sports cars. Numbers have nothing to do with it when we're talking about rich folks, as many of them have Porsches AND Ferraris. 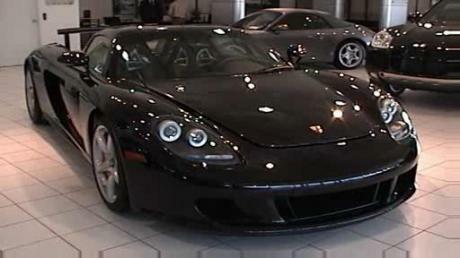 Paul Walker himself had an F430 Scuderia. I know it's all just coincidence, but it just seems things tend to go wrong for celebs in Porsches than in other performance machines. And it's not always a case of more money than braincells or a rookie driving something way above his/her skill level. Yeah, I know people die in other performance cars as well and it doesn't always get a lot of press. That's why I added the qualifier of HIGH-PROFILE deaths. When I see a Ferrari on the news, it's usually on fire, with the driver safe and sound, staring at the wreckage with all the other rubber-neckers(and before anyone thinks that's a dig at Ferrari, even though it's true, I haven't seen a Ferrari in the news in a while, barring that 250 GTO that went for, like, $52 million at an auction recently). 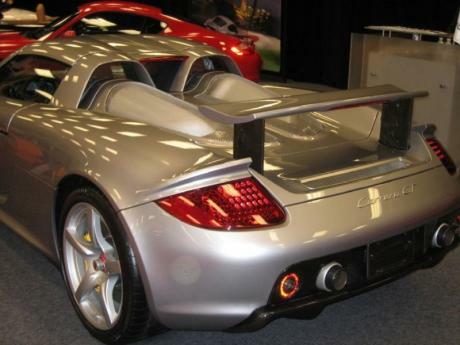 But over the last few years, when I've seen a Porsche in the news, someone died in it. That's all I'm saying. I know it doesn't mean anything, it's just one of those odd little coincidences, I think. ryan dunn was drunk and dean died due to the fault of a student in his ford who ignored deans right of way. 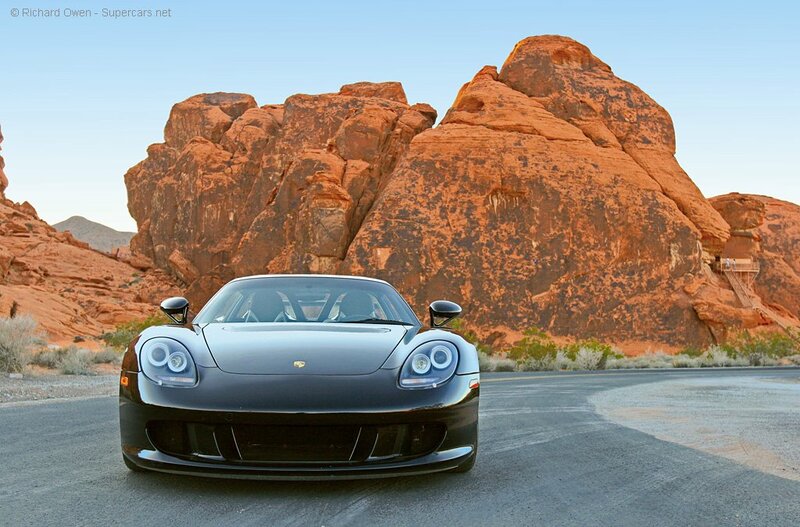 also there have been more than 820000 911s been sold opposed to around 150000 ferraris overall. on top of that there are probably hundred of deaths in car crashes involving ferraris, lambos, astons, porsche u simply dont hear about. R.I.P. Mr. Walker, you will be missed. He was a good actor, but most of all he was a Gearhead, and when he talked about cars in the movies, you could tell he not only knew what he was talking about, but he loved what he was talking about. 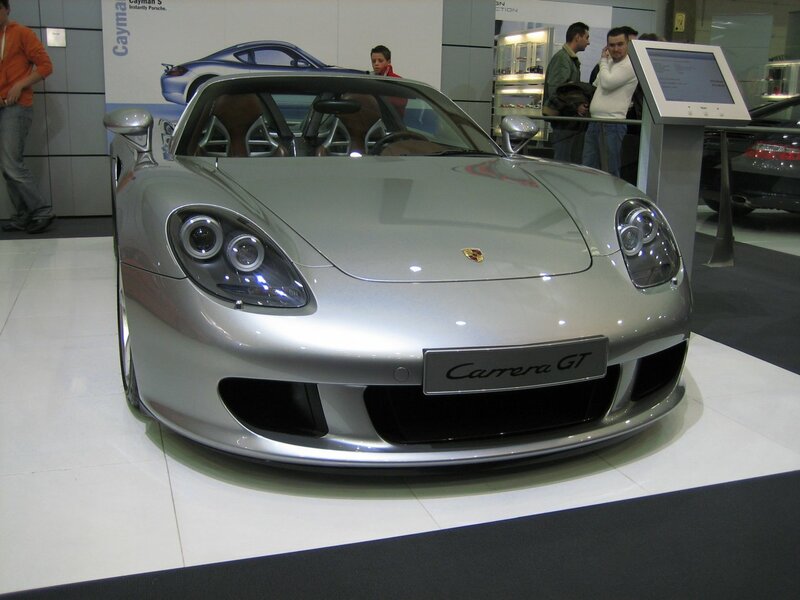 And this only reaffirms the Carrera GT's reputation as a beast to be respected, even when you think you've tamed it. Afterall, a tamed lion is still a frickin' lion. Definitely my kind of car. Though, to be fair, a mechanical failure in the steering system is suspected to have caused the crash, not the nature of the car itself. Also, is it just me, or are there a disproportionate amount of high-profile deaths involving Porsches compared to other sports car? A few years ago some rich girl drove her father's new Porsche into the side of a toll booth and got herself decapitated, then Ryan Dunn(of Jackass fame)took his last ride in a GT3(iirc), and now this. And let's not forget the most famous Porsche-related death of all: James Dean. Maybe I'm just showing my ignorance here, but it seems like rich people tend to die more often in Porsches than, say, Ferraris, Lambos or Aston Martins. The Legend that will never be forgotten. A date that will live in in infamy!! 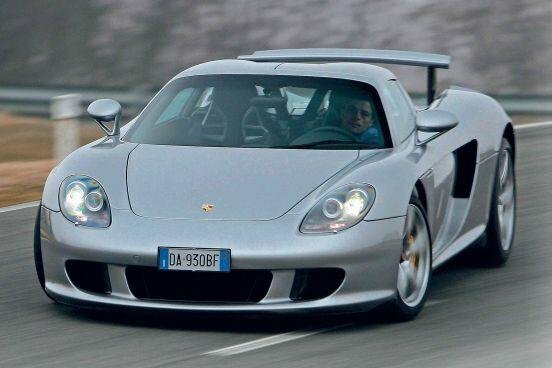 "I have seen one of those smoke a f10 m5:"
I have heard that the stability control on the Carrera gt will not do anything to save you.